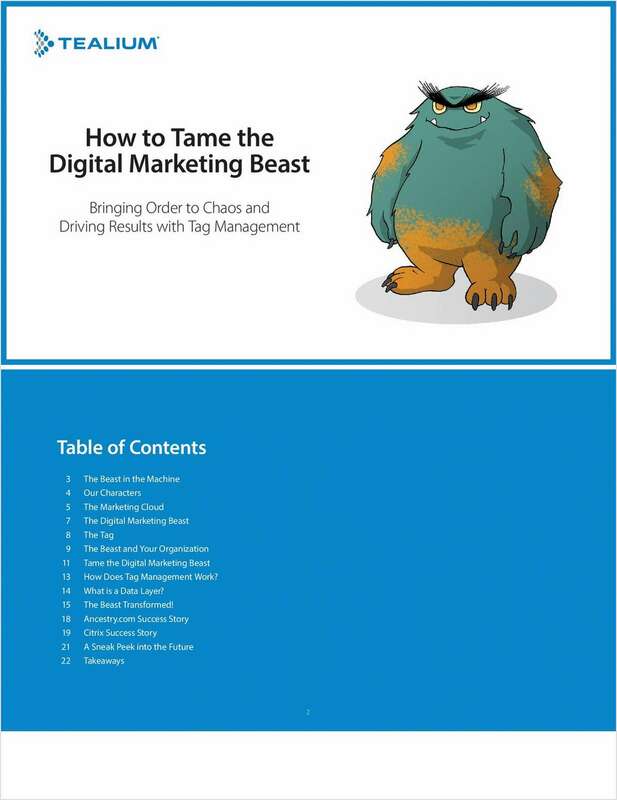 "How to Tame the Digital Marketing Beast"
Free Guidebook: "How to Tame the Digital Marketing Beast"
Marketing complexity got you down? You've heard of the ghost in the machine? There's also a beast living in your digital marketing machinery and it's throwing a wrench into your best-laid marketing plans. By submitting this content request, I have legitimate interest in the content and agree that Tealium, their partners, and the creators of any other content I have selected may contact me regarding news, products, and services that may be of interest to me.